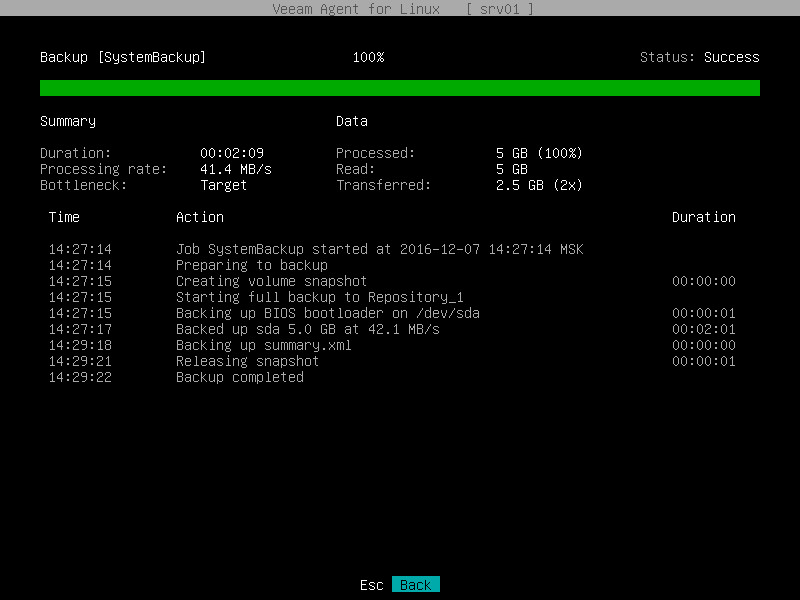 You can view detailed statistics on every backup job session performed by Veeam Agent for Linux. In the Latest backup sessions list, select the necessary backup job session with Up and Down keys and press Enter. with the Esc key — if you opened the control panel with the veeam or veeamconfig ui command. with the 'q' key — if you opened the control panel with the veeamconfig session ui command.